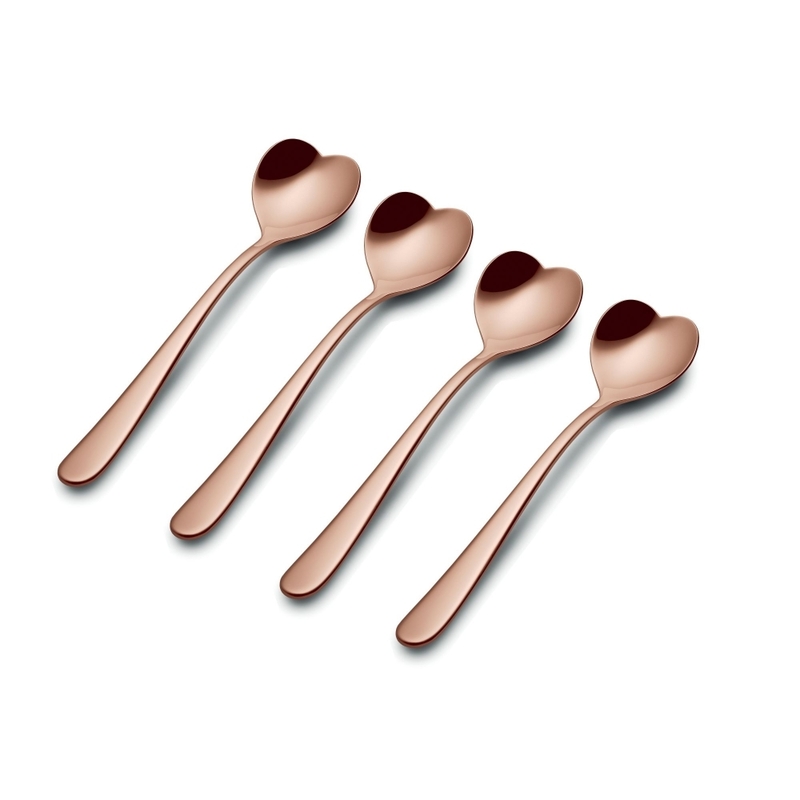 Make your favourite hot drink even sweeter with this stylish set of 4 Rose Gold Big Love Tea Spoons from Alessi. Designed by Miriam Mirri, who uses the symbol of a heart in her creations to represent the vital and flow of movement in every day life. This set of pretty rose gold tea spoons are part of the 'Objets Bijoux' collection and come in a gift box featuring the artwork of Paul Gauguin. This set is a perfect gift idea for the host of tea and coffee mornings.